My heart sighed with a deep sense of peace this afternoon. The girl who gave me one of my favorite identities, mother, just fit a piece of the puzzle into place. For the last six months or so, I’ve seen a slow disconnect happening between my daughter and I. She started kindergarten in September and adores school. She practices her writing for fun, draws every night after lights out and reads anything she can get her hands on. As a whole new world opened up before her eyes, our former world felt like it was fading. Many of the things we used to do together haven’t held the same meaning they used to. I caught on pretty early that this was to be expected. But I haven’t parented a six year old girl before. What would we do next? As some rituals fade into cherished memories, what new ones will rise up to take their place? I’ve been quietly showing up and paying attention in my moments with her over the last several months. I’d try something new on for size and realize…that wasn’t it. It’s been frustrating at times. I’m keenly aware these years are important. There’s the voices of shame and guilt that peak around the corner at times. “You’re not doing enough. She’s learning the wrong things. You should do better. Look at those parents.” Those voices are dumb. So I stopped listening a while back. But once in a while, they catch you off guard. All this leads to today. We’ve been dealing with a small stomach bug being passed around our house so we’ve had our fill of Netflix time on the couch. We just HAD to come up with something else low key to do besides watch another show. An idea popped into my head. 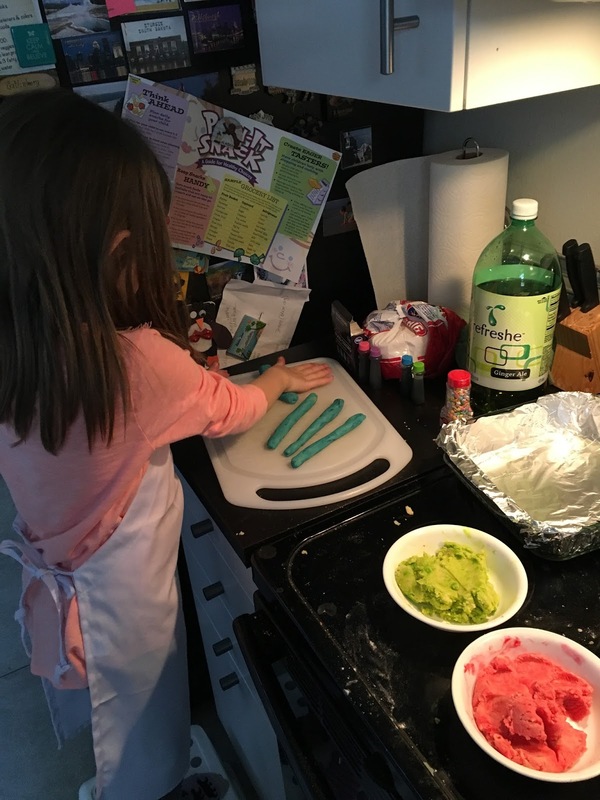 “Hey, want to pick out a kids recipe on Pinterest and make it together?” We do a lot of baking together, but we’d never looked up a specific kids recipe. 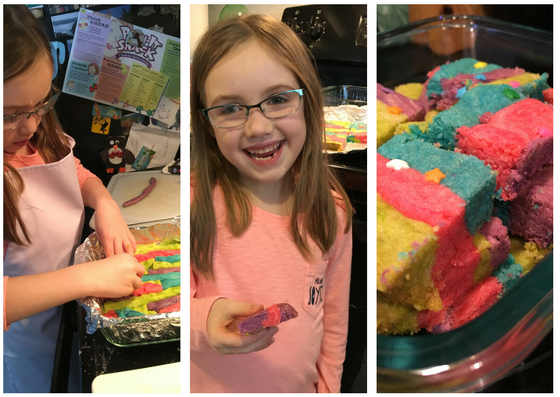 She chose Unicorn Rainbow Cookie Bars. Of course. 🙂 We got what we needed and set to work. As we measured, poured, rolled, laughed and baked, it felt new. At least for today. And that’s all I needed. When we spend so much time with the people closest to us, they start to freeze in time. We see them cemented in our minds from a previous season of life. May we challenge those conceptions of our loved ones. May we give them breathing room to change and morph and become. May we give ourselves permission to change and morph and become. You are not who you used to be. Either are your loved ones. Here’s to all the ways our relationship deepen and flourish over time. I’m glad I didn’t miss today. For those of you who will ask, here’s the recipe. They looked pretty but had almost no taste to them. It’s just flour, sugar, butter, vanilla and salt. But it didn’t matter one bit. She loved him. So did little brother.